​​​​​​​​​ ​​COMMERCE, HUNT COUNTY – A new 137,000-sf residence hall has opened at Texas A&M University-Commerce​. 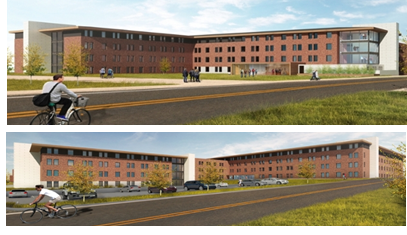 The 490-bed community is a freshman-only residence hall, and provides private study rooms, several communal areas, laundry facilities, robust internet and Wi-Fi throughout the building. Texas A&M University-Commerce’s enrollment has grown nearly 31 percent over the last decade due to its academic programs and convenient location to DFW.